Berlin: Five watercolours attributed to Nazi dictator Adolf Hitler from his early days as a struggling artist have failed to sell at auction in the southern German city of Nuremberg, possibly over fears they could be fakes. 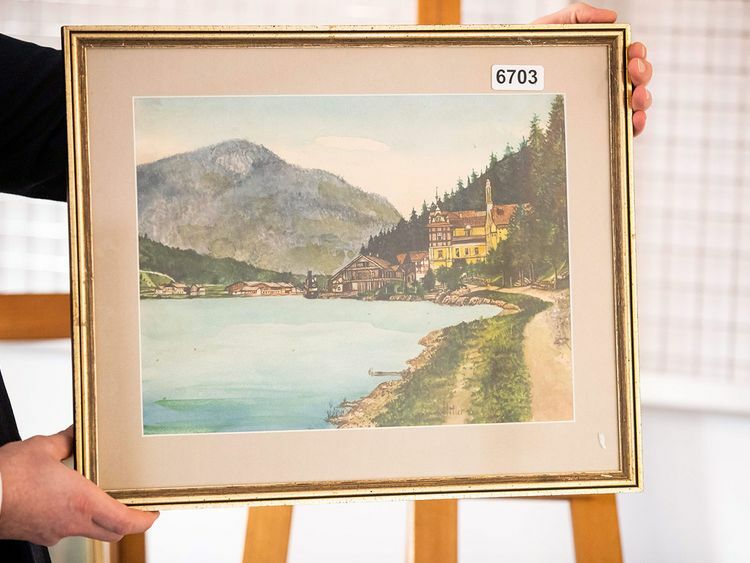 The Nuremberger Nachrichten newspaper reported Sunday that no bids were received on the paintings, which had starting prices of between €19,000 (Dh78,992 or $21,500) and €45,000 ($50,900). As a young man, Hitler is thought to have painted some 2,000 pictures as he unsuccessfully struggled to succeed as an artist in Vienna before the First World War.